What’s the Best Motorcycle Battery? Read on and Find out! For anyone who owns a motorcycle, you know how important it is to maintain your bike and keep it smoothly running. One of the most important aspects of a motorcycle is its battery. However, if it goes dead, knowing what brand and make you should replace it with can be difficult. Today we will be going over how to choose the best motorcycle battery on the market, and answer these questions: What makes them great? Which ones come already wet? 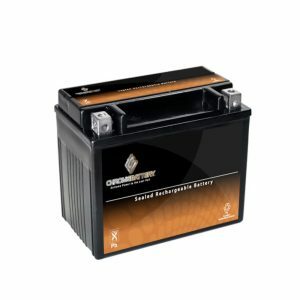 What should I be looking for in a motorcycle battery? The first model of our motorcycle battery reviews we will be looking at was developed by the Chrome Battery company. 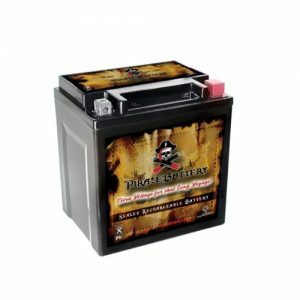 The YTX12-BS High-Performance Sealed AGM Motorcycle Battery is a very affordable option when looking to replace or install a new one inside your motorcycle. But with any cheap battery, does it sacrifice quality because of its cheap price? Or does it offer incredible features to benefit your motorcycle for a long period of time? There have been reported durability issues. Furthermore, this specific model does not fit all motorcycles. Therefore, users should check its compatibility with their motorcycle before buying this product. 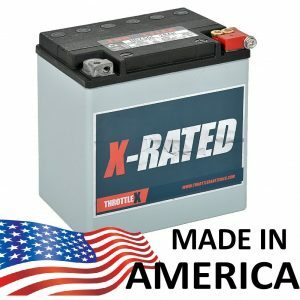 The YTX12-BS High Performance Sealed AGM Motorcycle Battery is a great one to purchase for its price; it is very affordable, strong and durable, which is the main reason it is included on this list. The installation might be a little bit tricky because it does not come equipped with notches to hold and raise the nut, a pretty bad design flaw. So, while the installation process may be a nightmare, once it is in, it runs like a dream and will last you a long time. If you are willing to overlook the installation, we would say it is worth buying. Up next is an averagely priced battery built to keep your motorcycle running smooth and for long periods of time. This one is called the Yuasa YUAM620BH YTX20HL-BS, developed by the Yuasa company. While this one is competitively priced, we should look at how it competes with the others in its category. We can assure you there is a great reason why it has been included in the review as one of the best motorcycle batteries on the market today. This one comes dry and users have to add the chemicals and then charge it before it can be used. Unlike others, the Yuasa YUAM620BH YTX20HL-BS comes completely dry and you must add the acid yourself. However, this is not a big deal at all; it is so easy to add the acid yourself even though to the human mind it sounds dangerous. Once the acid is added, it runs like a dream. It is one of the best motorcycle batteries at its price point and we strongly recommend it to those who don’t mind adding the acid themselves. Developed by “ThrottleXBatteries,” the MX30L – Motorcycle Battery is an inexpensive option. When we have a cheap battery, we want to make sure that it will still last you a while. So how does this certain type hold up and is it worth it at the end of the day? Although this is quite a popular choice when it comes to batteries, one of the main drawbacks is its instruction manual is hard to understand. They have exceptional customer service for all their products and a great 60-day money back guarantee. This is always something to look for in case you get a dud battery; they will just send you a new replacement. We do recommend the MX30L because of easy installation, even if you know nothing about cars. Some have even lasted up to 15 years! The only downside is the instruction manual was very poorly written. Though not one of the cheapest models, the ACDelco ATX20LBS Powersports JIS 20L-BS is competitively priced. Manufactured by the ACDelcoCompany, this one comes with a lot of design features to enhance the lifetime of your battery, and make sure your motorcycle is constantly running smoothly. Needs to be charged before installation. Terminals on this one are hollow cast and not the solid threaded type. We think the ACDelco company is truly a fantastic manufacturer of motorcycle batteries. 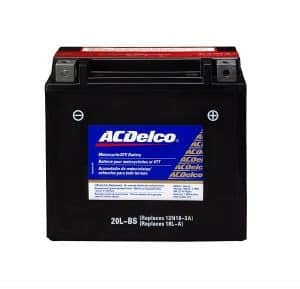 We do find the ACDelco ATX20LBS Specialty AGM Powersports JIS 20L-BS is great if you are looking for a cheap replacement (for not the longest time). We only recommend this one to those who need a replacement right away and want one that works great. Just to note, it does come dry so you will have to add the acid and seal it yourself! Some people do not like that and want one already complete. Again, this is another great product made by the fantastic company, “Chrome Battery.” They have a few batteries on this list for a reason: They make great products. The YTX5L-BS is one of the cheapest batteries that they make. So, with it being so cheap, does it hold up? Will it last for as long as you need it to? The only drawback of this model is that it is not very durable. With any extremely cheap battery, such as the YTX5L-BS, you need to understand exactly what you are getting. For a model this cheap, it is to replace a current battery and hopefully will run smoothly for as long as it can. Of course, it won’t be up to the highest quality of some of the more expensive and high-end models. However, We think this is a fantastic product and worth buying, especially if you are in a jam. The bottom line is that it works great, is easy to install, charges fast, and comes fully made. You don’t have to pour acid or set it up yourself; it is ready to be used. We think it is the best motorcycle battery at its price point of being very cheap. Developed by Pirate Battery, the YTX30L-BS has been produced to give your motorcycle the juice it needs to run smoothly. It is averagely priced, and competitive with the rest of the models. But does it offer anything new we haven’t seen before, and how does it compare? Some customers have reported quality and durability issues for the YTX30L-BS . At the end of the day, We still recommend getting the YTX30L-BS because it does work, and works well. Something that you should be careful of though, is that the terminals are not developed the best and are what we call, “old school.” This entire battery has an old-fashioned vibe to it, which is okay and still works, but you should know this. The YTX4L-BS 4L-BS Lithium Ion Sealed Battery 12V comes developed by MMG and is here to provide you with a lighter battery. Anyone who owns a motorcycle knows how crucial it is to find one that not only fits your bike, but does not add that much weight. This is what this model sets out to do, but how does it work? Does it hold up when compared to heavier batteries? The only drawback of this model is that it does not handle weather well and quickly dies in very cold conditions. 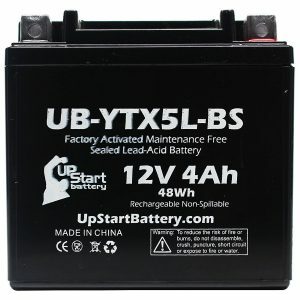 So how does the YTX4L-BS 4L-BS Lithium Ion Sealed Battery 12V hold up? Well, indeed it is exactly as advertised and offers the lightest battery on the list today. In fact, we think it is simply a fantastic model and is strong, especially for how small it is. First and foremost, make sure it can work with your bike and will fit; this is built for smaller motorcycles. The only con is that I found was that during the winter months, it sometimes had difficulty starting, especially if it was very cold out. The rest of the year it works great, charges fast, and hopefully will last a long time. This one is incredibly affordable and comes developed by UPG. Since that company is not as well-known as the others, how does it hold up when compared to the others? Is it worth the buy? There have been issues that the UPG UB14A-A2 – OEM YB14A-A2 is cheaply constructed. 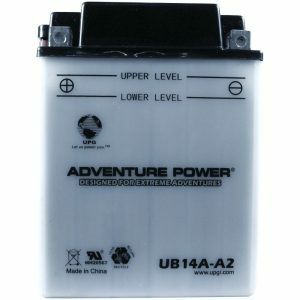 The UPG UB14A-A2 – OEM YB14A-A2 while great, simply does not hold up against the others. It still is very affordable, however, we would tend to lead people towards one of the others mentioned before. There is no way to tell how much charge is left in this battery, and the technology to reduce any spilling is also not up to par with the rest. This battery is designed and marketed as being ultra-light. The only one in our review from the Shorai Company, the Shorai LFX09L2-BS12 Extreme Rate Lithium Iron Powersports, is one of the priciest batteries, even though it is still very affordable. So, with it being so light, does it still work as good as the heavier models? Should you even consider buying it? This model does not handle cold weather very well and dies if not kept on charge for a while. It was very difficult to find a con for the Shorai LFX09L2-BS12 Extreme Rate Lithium Iron Powersports. We recommend this one almost more than any others because it is truly fantastic. Not only it is one of the lightest batteries on the market today, it is super powerful. There are some batteries that are hard to crank and get started. However, this model comes with an easy crank feature and I have never had a hard time with it. It is well-packaged and incredibly safe to use. While it is pricier, we think it is well worth the price because it will save you money down the road, as it will not need to be replaced. Just make sure it will fit your bike before you purchase, as it is quite small. The final product today is also one of the only batteries that is fully made in America. This is a great sign even starting out. However, it is also one of the most expensive batteries. 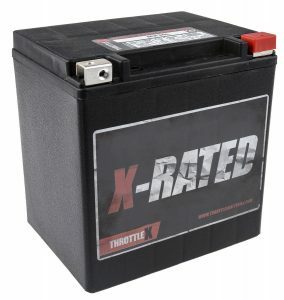 The HDX30L – Harley Davidson Replacement Motorcycle Battery has been built by ThrottleX Batteries. So, with its high price tag, is there a reason it is more expensive? Does it offer more features than others? The HDX30L does not come fully charged. Some customers have also reported durability issues. If you own a Harley Davidson, the HDX30L – Harley Davidson Replacement Motorcycle Battery is the best replacement battery you can buy on the market today. It is just as good, if not better, than the original battery on most machines, and you won’t notice a difference. It fits perfectly and was easy to install. The only downside is yes, this is built for only Harley-Davidson bikes and should not be used in another make of motorcycle. 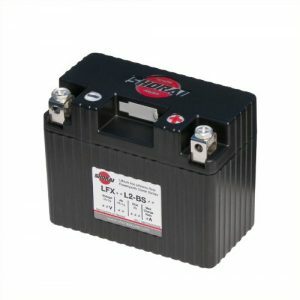 If you have budgeted a certain amount and you are in need of a good quality battery, the YTX5L-BS is a good option. 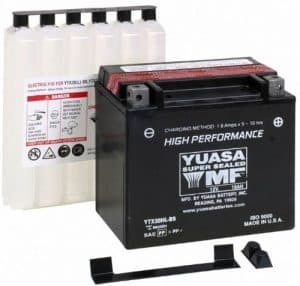 If you are in need of a high-quality battery that is able to last three times longer than most batteries, the Yuasa YUAM620BH YTX20HL-BS wins’ hands down. This is one 12 V battery that won’t disappoint! Last but not the least, we would highly recommend the MX30L if you are looking for a very affordable model that comes with amazing features. This maintenance-free battery will not let you down. First and foremost, when looking for a new motorcycle battery you have to find one that will fit your bike and is compatible with your bike. Certain batteries only work with certain brands. This will help narrow down your search and help you find the one that works best for you. You also want to find one that comes with the latest technology to avoid any spillage whatsoever. A faulty one has the potential to actually destroy your bike so this is very important. Find one from a reliable company that has the technology required to avoid spillage. Now some batteries come dry, where you have to add the acid yourself and also seal it yourself, while others come all set, fully charged, and ready to go. Find out what will work best for you, as some people don’t want anything to do with filling their battery with additional acid. At the end of the day, you simply want a battery that first off works and that will also last you a long time. Find one with the longest battery life you can, and even if it is pricier at first than most models on the market it will be worth it in the long run! We have created this list after doing an extensive research in order to help you in finding the best motorcycle battery of your choice that also meets each or most of your requirements. As you must know, there are lots of different manufacturers in the business today that offer many products with various features. With so many choices available in the market today, it can be a challenge to choose and pick one product that meets all your needs. 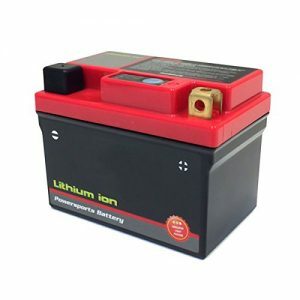 When you are looking for the perfect battery for your precious motorcycle, you need to consider a lot of aspects before you buy a certain product. These features include but are not limited to, the compatibility with your motorcycle, durability, size, maintenance, and price. We included all these aspects when we conducted our research and came up with these models. However, we strongly suggest that you do your own research before making a decision because only you know your requirements best. All these mentioned batteries are worthy of your attention and come with their own advantages and disadvantages and it is completely up to you as to which product you decide to buy. We hope you will be able to find the best motorcycle battery that suits your need. Please do let us know which one is your favorite by leaving a comment below, thanks!